Fox's Deadpool reigned supreme again on Wednesday with another $3.8 million added to the bank, down 56 percent from the same day last week. That gives the "Merc with a Mouth" a hugely impressive 13-day domestic tally of $250.3 million, pacing 29.5 percent ahead of where Guardians of the Galaxy stood at the same point in release. The film is expected to easily retain first place again during its upcoming third weekend. Sony and AFFIRM's Risen pulled $0.84 million in its sixth day of play yesterday, bringing the total to $14.9 million thus far. The latest faith-based success continues trending well thanks to healthy word of mouth and is now pacing 3.5 percent ahead of fellow Sony release War Room. A24's The Witch moved up to third place yesterday with $0.621 million, giving it a solid six-day start of $10.97 million. The well-reviewed -- but divisive -- horror film is pacing 24 percent ahead of You're Next. How to Be Single added $0.62 million yesterday in fourth place, off 43 percent from last Wednesday. The rom-com's 13-day tally stands at $33.8 million. Kung Fu Panda 3 re-entered the top five yesterday with $0.524 million, giving it a new domestic total of $118.9 million. The animated sequel continues playing well with families. Meanwhile, Race fell outside the top five with $0.515 million in its sixth day of play. The Jesse Owens biopic has taken in $9.1 million so far and is currently running 32 percent behind McFarland, USA. Last but not least, 12-time Oscar nominee The Revenant added $0.38 million (off just 17 percent week-to-week) for an updated domestic haul of $166.3 million. All-time domestic box office champion Star Wars: The Force Awakens tacked on another $0.32 million, off 31 percent from last Wednesday, for a new total of $922.7 million. Fox's Deadpool took in $5.16 million on Tuesday to comfortably lead the daily box office for a twelfth consecutive day. The Ryan Reynolds led blockbuster increased 15.5 percent over Monday and decreased a sharp 55 percent from last Tuesday. Deadpool has grossed a massive $246.49 million in twelve days and will surpass the $250 million mark either today or Thursday. The film is running an extremely impressive 46 percent ahead of the $168.97 million twelve-day take of 2014's X-Men: Days of Future Past (which had the added advantage of higher priced 3D admissions; something that Deadpool doesn't have). Deadpool looks to be in terrific shape to comfortably remain in first place over the upcoming weekend. Risen held steady in second place with $1.32 million. The faith-based film from Sony's AFFIRM Films label starring Joseph Fiennes was up a healthy 45 percent over Monday. Risen has grossed $14.03 million through five days, which is on the higher end of pre-release expectations. The film is currently running 45.5 percent ahead of the $9.64 million five-day start of fellow AFFIRM Films release When the Game Stands Tall back in 2014. AFFIRM Films releases have a strong history of displaying strong holding power and Risen will hope to do the same going forward. Warner's How to Be Single was up one spot from Monday to move into third on Tuesday with $0.878 million. The romantic comedy from New Line and MGM featuring Dakota Johnson was up a strong 55 percent over Monday and down a very solid 39 percent from last Tuesday. How to Be Single has grossed $33.19 million in twelve days. That is towards the higher end of expectations and places the film 17 percent ahead of the $28.29 million twelve-day take of 2009's Confessions of a Shopaholic. The Witch was down one spot to claim fourth place with $0.829 million. A24's low-budget R-rated horror film was up 16 percent over Monday's performance. The Witch continues to perform on the high end of expectations (and nicely with its low price tag in mind), with a five-day start of $10.34 million. The film is currently running 24 percent ahead of the $8.34 million five-day take of 2013's You're Next. Race was up one spot from Monday to round out Tuesday's top five with $0.720 million. Focus' Jesse Owens biopic starring Stephan James was up a very healthy 47 percent over Monday. Race has grossed $8.59 million in five days. The film is performing a bit below its modest expectations and 33 percent softer than the $12.78 million five-day start of McFarland, USA over the same week last year. Kung Fu Panda 3 was down one spot to land in sixth with $0.720 million. The 3D computer animated sequel from Fox and DreamWorks Animation increased 38 percent over Monday and decreased a very sharp 63 percent from last Tuesday. Kung Fu Panda 3 has grossed $118.36 million in 26 days, which places the film 14 percent behind the $138.20 million 26-day take of last year's Hotel Transylvania 2. Fox's Deadpool continued to dominate the daily box office on Monday with $4.47 million. The Ryan Reynolds led blockbuster was down 72 percent from Sunday and down 77 percent from last Monday's inflated Presidents Day take. Deadpool has grossed a massive $241.33 million through eleven days of release. That already makes the film the highest grossing X-Men universe film of all time (without taking into account ticket price inflation) and places the film an extremely impressive 46 percent ahead of the $165.18 million eleven-day take of 2014's X-Men: Days of Future Past (which had the added advantage of higher priced 3D admissions; something that Deadpool doesn't have). Deadpool looks to be in terrific shape to comfortably remain in first place over the upcoming weekend. Risen took second place for the day with $0.909 million. The faith-based film from Sony's AFFIRM Films label starring Joseph Fiennes declined 73 percent from Sunday's performance. Risen has grossed $12.71 million through four days of release. That is on the higher end of pre-release expectations and places the film a very healthy 42 percent ahead of the $8.94 million four-day start of fellow AFFIRM Films release When the Game Stands Tall back in 2014. AFFIRM Films releases have a history of displaying strong holding power and Risen will hope to do the same going forward. The Witch placed in third with $0.715 million. A24's low-budget R-rated horror film was down 67 percent from Sunday, which represented the day's strongest daily percentage hold among wide releases. The Witch continues to perform on the high end of expectations (and quite nicely with its low price tag in mind), with a four-day start of $9.52 million. The film is currently running 24 percent ahead of the $7.65 million four-day take of 2013's You're Next. Warner's How to Be Single claimed fourth place with $0.568 million. The romantic comedy from New Line and MGM featuring Dakota Johnson was down 72 percent from both Sunday and last Monday. The eleven-day total for How to Be Single stands at $32.31 million. That is towards the higher end of expectations and places the film 16 percent ahead of the $27.79 million eleven-day start of 2009's Confessions of a Shopaholic. Kung Fu Panda 3 rounded out Monday's top five with $0.520 million. The 3D computer animated sequel from DreamWorks Animation fell 87 percent from Sunday and an extremely sharp 92 percent from last Monday's holiday performance. Kung Fu Panda 3 has grossed $117.64 million in 25 days, which places the film 14 percent behind the $137.46 million 25-day take of last year's Hotel Transylvania 2. Race followed closely behind in sixth place with $0.501 million. Focus' Jesse Owens biopic starring Stephan James was down 74 percent from Monday. The four-day total for Race stands at $7.85 million. Race is performing a bit below its modest expectations and 33 percent softer than the $11.74 million four-day start of McFarland, USA over the same week last year. Fox's Deadpool easily remained in first place at the box office this weekend with $56.47 million. The Ryan Reynolds led antihero film was down a sharp 57 percent from last weekend, as exceptional word of mouth wasn't enough to offset initial fan-driven front-loading. With that said, Deadpool held up better than 2014's X-Men: Days of Future Past, which fell 64 percent in its second weekend to gross $32.55 million. In general, X-Men universe films have tended to experience very sharp second weekend declines. In the bigger picture, the relatively modestly budgeted Deadpool has already grossed a massive $236.87 million in just ten days of release. That is a very impressive 46 percent stronger than the $162.02 million ten-day take of Days of Future Past (which also had the added advantage of higher priced 3D admissions; something that Deadpool doesn't have). Without taking into account ticket price inflation, Deadpool is already the highest grossing X-Men universe film of all-time domestically, as it has passed the $234.36 million total gross of 2006's X-Men the Last Stand. Fellow Fox release Kung Fu Panda 3 held steady in a distant second place with $12.52 million. The 3D computer animated sequel from DreamWorks Animation was down a solid 37 percent from last weekend. Kung Fu Panda 3 has grossed $117.12 million through 24 days of release. That places Kung Fu Panda 3 14 percent behind the $136.81 million 24-day take of last year's Hotel Transylvania 2 (which fell 38 percent in its fourth weekend to gross a similar $12.65 million). Kung Fu Panda 3 is likely to hold up well next weekend, before taking a hit the following weekend from the arrival of Disney's Zootopia on March 4. Risen was the weekend's top new release with a third place debut of $11.80 million. The faith-based film from Sony's AFFIRM Films label starring Joseph Fiennes was off to a solid start, as it opened on the high end of expectations. 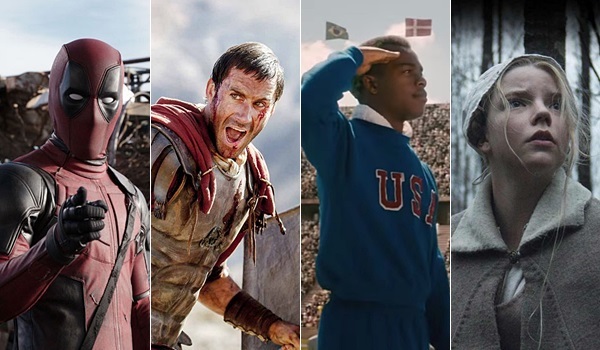 Compared to previous films from AFFIRM Films, Risen opened 41 percent ahead of the $8.38 million debut of 2014's When the Game Stands Tall and 4 percent ahead of the $11.35 million start of last year's War Room. Due in part to the faith-based competition the film will be facing in March, it seems likely that Risen will display holding power more similar to that of When the Game Stands Tall than War Room, but that remains to be seen. Risen opened with $4.02 million on Friday (which included an estimated $425,000 from Thursday night shows), increased 11 percent on Saturday to gross $4.46 million and declined 25.5 percent on Sunday to gross $3.32 million. That placed the film's opening weekend to Friday ratio at 2.94 to 1. Risen received a healthy A- rating on CinemaScore and currently has a very solid 80 percent Flixster audience score. The Witch debuted in fourth place with $8.80 million. A24's low-budget R-rated horror film opened on the high end of expectations and performed very nicely with its price tag in mind. The Witch benefited from its strong critical reviews, as the film currently boasts an 88 percent Tomatometer on Rotten Tomatoes. However, The Witch doesn't appear to be going over anywhere near as well with moviegoers, as the film received a soft C- rating on CinemaScore and currently has a Flixster audience score of just 53 percent. Regardless of how well the film ultimately holds up going forward, The Witch generated a healthy opening weekend performance for A24 as the distributor's first traditional opening weekend wide release. The Witch opened with $3.27 million on Friday (which included an estimated $630,000 from Thursday night shows), increased 2 percent on Saturday to gross $3.34 million and decline 34 percent on Sunday to gross $2.19 million. That gave the film an opening weekend to Friday ratio of 2.69 to 1. Warner's How to Be Single rounded out the weekend's top five with $8.20 million. The romantic comedy from New Line and MGM featuring Dakota Johnson was down 54 percent from last weekend. That represented a very respectable second weekend hold; especially given that last weekend's performance was inflated from Valentine's Day falling on Sunday. How to Be Single has grossed $31.75 million in ten days. That is towards the higher end of expectations and places the film 16 percent ahead of the $27.38 million ten-day start of 2009's Confessions of a Shopaholic (which fell 55 percent in its second weekend to gross $6.74 million). Race debuted in sixth place with $7.35 million. Focus' Jesse Owens biopic starring Stephan James opened a bit below its modest expectations and 33 percent below the $11.02 million start of McFarland, USA over the same weekend last year. Race started out with $2.38 million on Friday (which included an estimated $205,000 from Thursday night shows), was up a healthy 30 percent on Saturday to gross $3.08 million and fell 39 percent on Sunday to gross $1.89 million. That places the film's opening weekend to Friday ratio at 3.09 to 1. 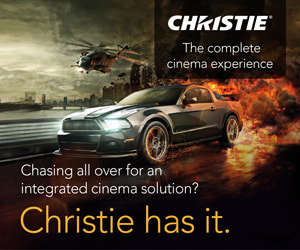 Race will hope to hold up well going forward thanks in part to skewing heavily towards older moviegoers (76 percent of the film's audiences was 25 years and older) and in part to strong early word of mouth (the film received a very promising A rating on CinemaScore and boasts a current Flixster audience score of 83 percent). Meanwhile, Paramount's Zoolander 2 continued its disappointing run with a seventh place take of $5.46 million. The PG-13 rated comedy sequel starring Ben Stiller and Owen Wilson was down a very sharp 61 percent from last weekend. Zoolander 2 has grossed just $23.67 million in ten days, which places the film an underwhelming 16.5 percent behind the unadjusted $28.34 million ten-day take of 2001's Zoolander (which fell 39 percent in its second weekend to gross $9.52 million). Zoolander 2 should continue to fall off quickly going forward due in part to poor word of mouth among moviegoers. 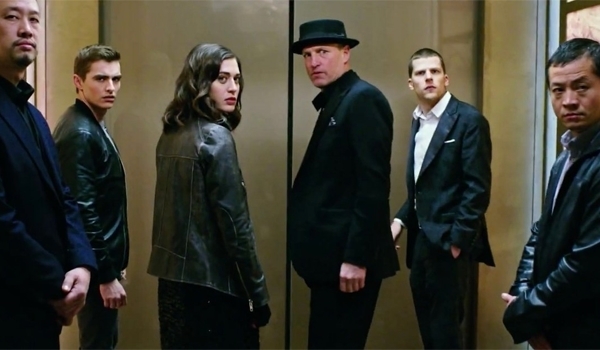 Monday Morning Update: Now You See Me 2 led all upcoming films in new Facebook likes over the past week with 127,520. The main impetus here was the release of new character posters for the film earlier in the week which got a lot of traction online, especially with Facebook. Considering the first film had just 218,428 new likes on the day of its release this was a hefty hike over the past week. The first grossed over $350 million worldwide. My Big Fate Greek Wedding snagged a close second over the past week with 124,390 new likes, giving it the largest percentage increase in the top ten of 31.7%. The original film was one of the most profitable films ever made and remained in the top 20 for almost an entire year without ever actually reaching #1. 14 years have past since the first film and while it is unlikely that it will be able to come close to replicating the success of the first film (really no other film has come close to its legs since then), these numbers show that it still has a lot of clout with moviegoers. Over 120,000 likes in a single week for a romantic comedy is a strong number, to put it into context a little The Choice had under 150,000 likes on the day of its release in total. Of the remaining films standouts include Allegiant which has started to generate a lot more buzz in recent weeks after running at sub 50% of the last Divergent films for much of the earlier part of the year. Zootopia also continues to impress, especially considering that its an animated film. Its total might seem skimpy but it stacks up very well to recent animated non-sequels including both Inside Out and The Good Dinosaur, both of which it is trending ahead of on Facebook. We at BoxOffice.com have this pegged as an early star for 2016 with a $50 million+ opening.